3D sculpting is a fascinating way to bring characters, monsters, and all kinds of organic shapes to life. 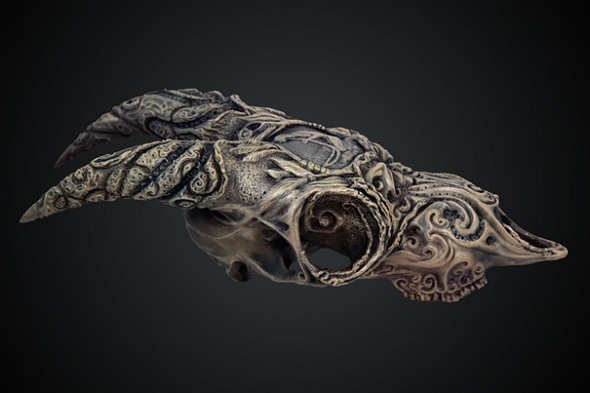 While many 3D modeling programs focus on precision, 3D sculpting apps are all about turning a piece of visual clay into a stunning 3D print. This article will show you the 10 best 3D sculpting programs to get the job done! In the first part of this blog post, we will focus on sculpting programs. Here, sculpting is the sole purpose of the software and not just a bonus feature. Later on, we will also mention traditional 3D modeling programs that offer basic sculpting modules. Without any doubt, ZBrush is the most popular and most powerful digital sculpting program out there. It offers the world’s most advanced tools for everyone from art enthusiasts to major film and games studios. Heads up though: ZBrush comes with a rather steep learning curve and a price of 795 USD. To get a feel for the software without taking any risks you can start ZBrush’s 45-day-trial version here. You should also check out our tutorial about how to prepare your ZBrush models for 3D printing here. 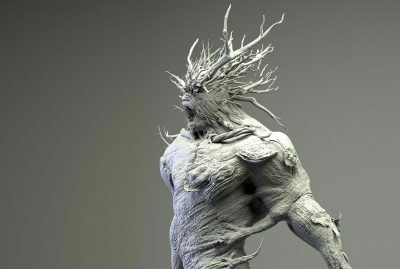 ZBrush’s biggest competitor is Mudbox, which was developed in 2007 and acquired by Autodesk. Mudbox digital painting and sculpting software provides 3D artists with an intuitive and tactile toolset for creating and modifying 3D geometry and textures. Mudbox’s sculpting style differs somewhat to that of ZBrush and can be considered as more beginner-friendly. The main difference between both programs is that ZBrush is much better at generating a base geometry to start modeling with than Mudbox. With Mudbox, you need to use integrations with Maya or 3ds Max to generate a base geometry more easily. 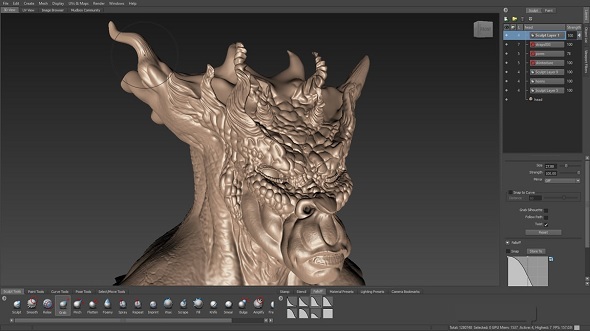 Overall, ZBrush and Mudbox feature similar sets of tools and brushes. However, ZBrush beats Mudbox in terms of functionality. ZBrush is often considered to be superior to Mudbox when it comes to painting the model. Mudbox costs 10 USD/month, whereas ZBrush costs 795 USD for a single user license. Since both ZBrush and Mudbox come as free trial versions, you might want to check them both out first and then choose the program you like most. If you don’t want to jump into the cold water right away, you might want to get started with some free sculpting apps first. 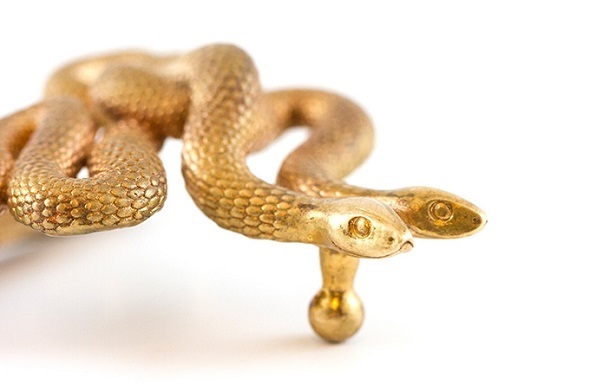 Meshmixer is one of the free 3D-sculpting-based CAD programs created by Autodesk – and it is also one of their simpler, more beginner-friendly programs. Meshmixer can be used to intuitively sculpt designs, hollow them out, cut them apart, and combine parts together without wrecking your mesh’s internal or external geometry. 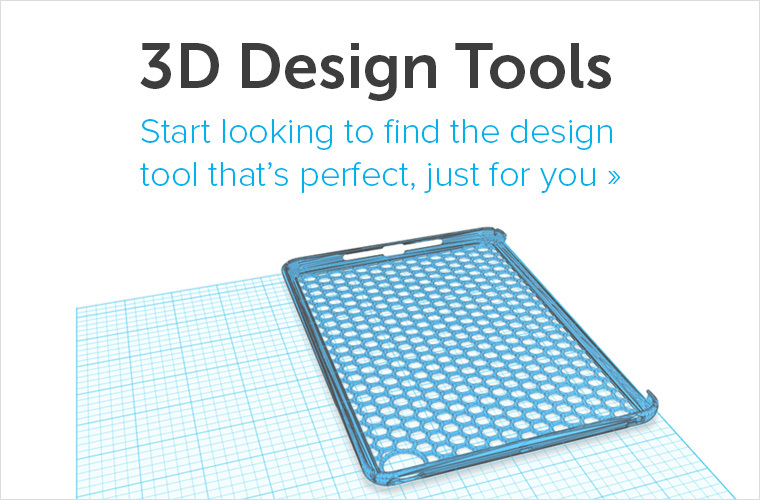 It’s a very cool tool to prepare your design for 3D printing as well. 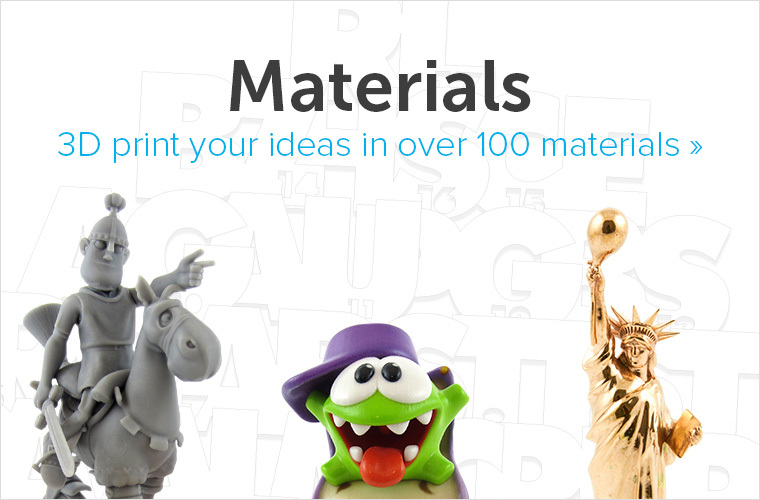 You can mash, mix, sculpt, stamp or paint your own 3D designs from scratch, or start from over 10,000 models in the 123D Gallery. Our very own mascot (the Piguin; see below), was created in this great program. If you also want to give it a try, be sure to take a look at our extensive Meshmixer beginner’s guide. 3D Coat is another interesting digital sculpting program. Its main advantages are its super powerful texturing, UV mapping, and painting tools. The general 3D modeling part of working with this software is pretty unconventional and differs from the other programs listed here. However, if your number one concern is ‘coating’ your sculpt with a great texture, then 3D Coat is your best friend. This software comes at a price that ranges between 99 and 379 USD depending on which license suits your needs. 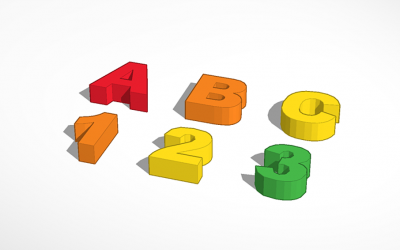 The 3D printing community of this software is rather small, and so finding good 3D printing tutorials for it is a little more difficult than for the other programs mentioned in this list. To try it, you can simply start with their free 30 days trial version. The Forrest Critter SC by Lazyad was created with 3D Coat. 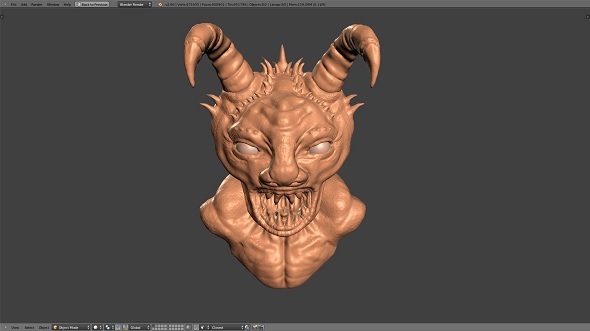 Sculptris is a free digital sculpting tool, created by Pixologic, the company behind ZBrush. If you’re new to the world of digital sculpting, Sculptris is the ideal ground on which to get started. 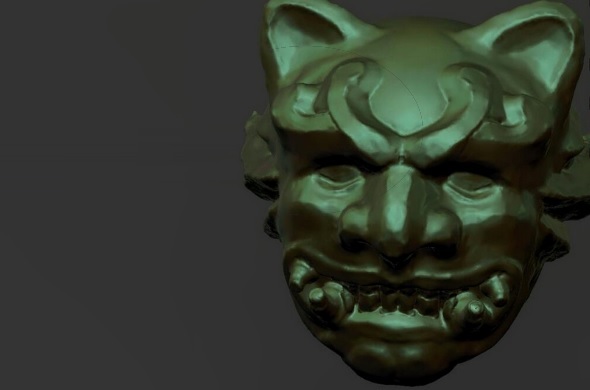 It shows you the very basics of what ZBrush is able to do. Sculptris provides an excellent gateway into the world of 3D sculpting. Its features are easy to learn, even for people with little or no experience in digital art, yet robust enough for creating detailed base models. Sculptris also lets you import 3D meshes (.obj) for further detailing and modifying. The only downside of Sculptris is its limited functionality. When you’re ready to take your Sculptris creations to the next level for detailing, having a look at ZBrush definitely makes sense. The programs that we looked at so far are nearly exclusively about sculpting an object. However, several traditional 3D modeling programs also offer sculpting features. So if you already have experience with one of the following programs, you might want to check out their sculpting modules first. Keep in mind that the sculpting functionality of these programs are inferior to those of Mudbox and ZBrush, but it’s enough to get a basic job done. Blender is a very powerful 3D modeling program and a popular choice within the 3D printing community. It has been equipped with a sculpting tool set since 2007, and its workflow is pretty similar to that of ZBrush and Mudbox. Additional bonuses are the sheer number of tutorials and plugins out there as well as the fact that Blender is completely free! However, users continuously complain about the interface and the very steep learning curve! Cinema 4D received a sculpting module back in 2012. It features multi-resolution sculpting, advanced symmetry options and a big range of brushes, stencils and stamps. However, if you are not already an owner of this software, it comes with a price of roughly 3,500 USD (42 days free trial here). Maya also extended its 3D sculpting capabilities and added a new set of brushes in 2016. While it does a decent job, many users complain that the workflow is still too buggy and sluggish. Also, Maya comes at 185 USD/month – so unless you already own a Maya license you might want to consider other programs first or try their 30 days free trial. Last but not least we have an honorable mention that certainly deserves a spot on this list: SculptGL. This app is free, doesn’t need a download/installation and doesn’t require you to sign up. It runs directly in your browser and allows you to start sculpting your first model in seconds. It’s a great app to start messing around and find out if this way of modeling is right for you. Of course it won’t lead to the most stunning designs, but it is a nice sandbox! You might want to check out our tutorial to get a better understanding of this free app. Are you ready to get going? 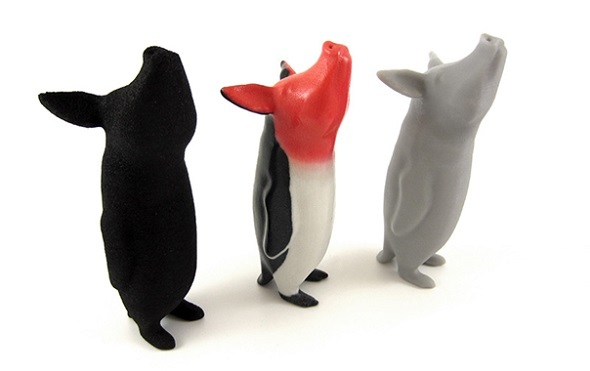 3D sculptors love printing their designs in multicolor! Take a look at 10 stunning (sculpted) multicolor 3D prints here to see what other 3D artist have created. 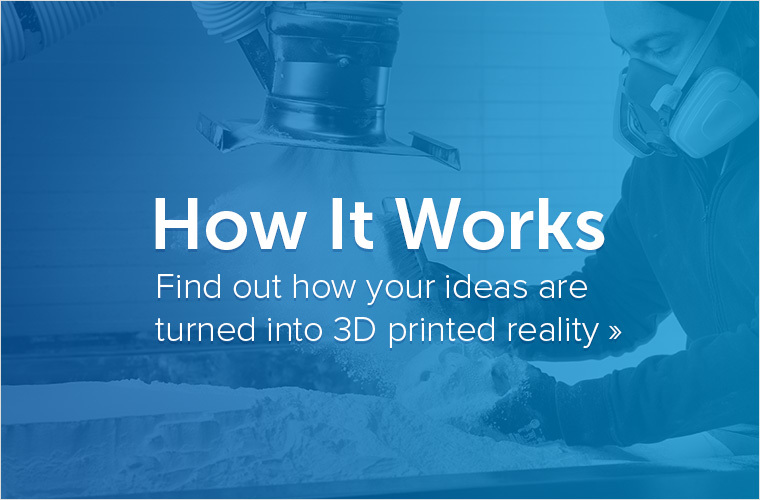 If your design is ready to be printed, upload it here and see the price of your HD 3D print instantly.